The fourth of July is the best kind of American holiday — celebrated at the height of summer, with grills going and fireworks sparkling and ice-cold lemonade (or beer) in hand. When family is around and backyard games are in progress, it’s more fun to be outside than slaving away in the kitchen. These tried and true summer dishes are not only easy, they can also be prepared either ahead of time or on a Weber kettle. 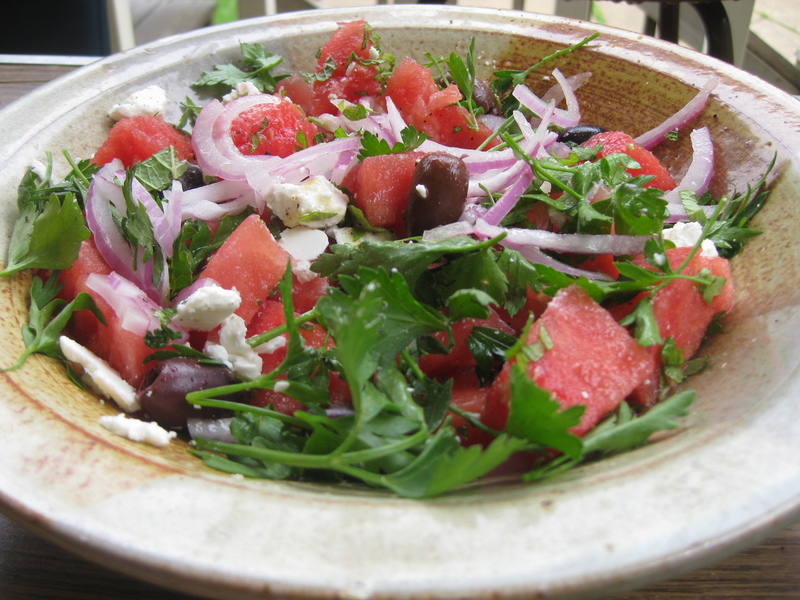 Fair warning: this salad, by British cookbook author Nigella Lawson, is addictive, and not only during the summer when watermelon is abundant. Sweet with melon, salty with kalamata olives and feta cheese and fresh with chopped mint and parsley leaves, this is a crowd-pleasing summer salad that goes with everything. Steeping raw red onions in fresh lime juice removes their rasp, so start those first. There are dozens of variations on the watermelon salad — try Whole Foods’ version with goat cheese and basil, or Ina Garten’s take with baby arugula and parmesan. 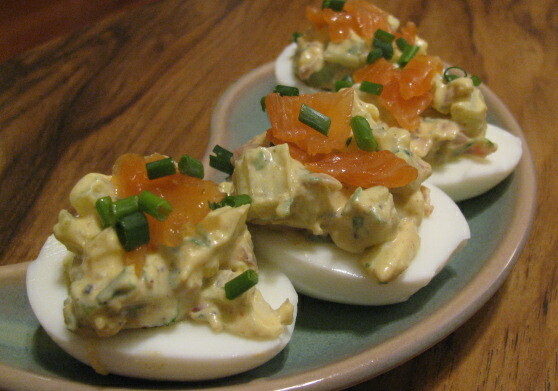 With a bit of spiced mustard and creamy mayonnaise, deviled eggs are a classic party dish. This Forkful of News recipe, topped with smoked salmon and sliced chives, has a secret tang from pickled onions (you can use dill pickles, too). To make them even more elegant for a dinner party, add fish eggs (like flying fish roe, or tobiko) for a tiny bit of salty snap. 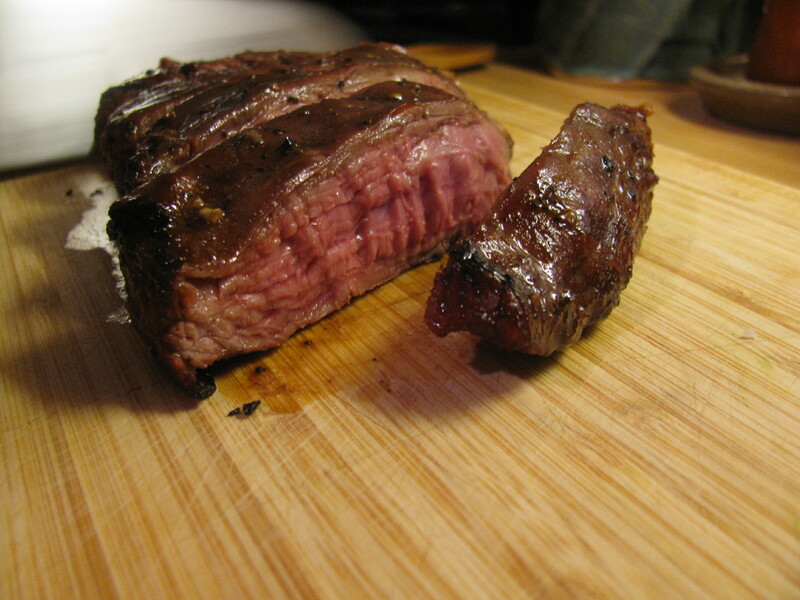 Flank steak can be incredibly tender and flavorful if you give it a night in marinade. After trying Mediterranean and Southwestern combinations, the best is an Asian-style combination of soy sauce, garlic, ginger and brown sugar. 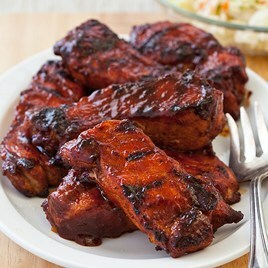 Start with a marinade like Alton Brown’s or this version from AllRecipes. Then add/subtract ingredients to your taste. Because flank is a tough cut, the key is to let the steak sit in marinade overnight. Grill for about 15 minutes total and then LET IT REST for 10 minutes, at least. While the steak rests, you can throw on kebabs. The only thing slightly fussy about these skewers is the assembly. Cut up whatever vegetables you have around (peppers, onions, cherry tomatoes, zucchini, squash, mushrooms), brush with a bit of olive oil, sprinkle with some interesting spices (cumin, paprika, aleppo pepper) and grill on medium, 6-10 minutes. 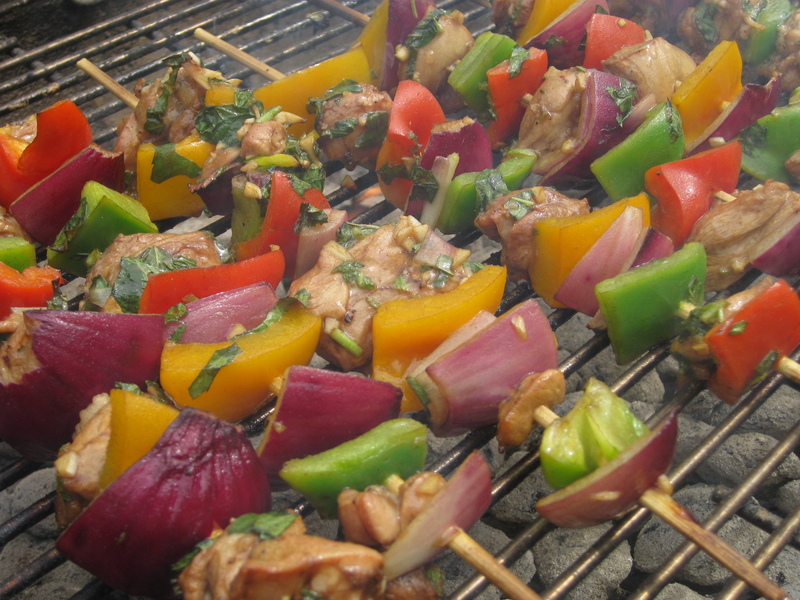 The skewers above have small pieces of chicken on them, but shrimp or precooked slices of chicken sausage work, too. Vegetarians at your celebration might appreciate veg-only kebabs, like these from Epicurious. Martha Stewart recommends threading each vegetable or meat separately, to have better control over the cooking time. That’s certainly an option, but if you’re staying away from super-high heat anyway, the lazy man’s everything-on-one method has worked fine for us. Holidays are no time for restraint. Go big with a lovely pound cake, like the sour-cream based Man Catcher from Melissa Gray’s “All Cakes Considered” (try it with fresh blueberries in the batter) or Ina Garten’s lemon pound cake, cooked into a bundt pan as the Smitten Kitchen suggests. 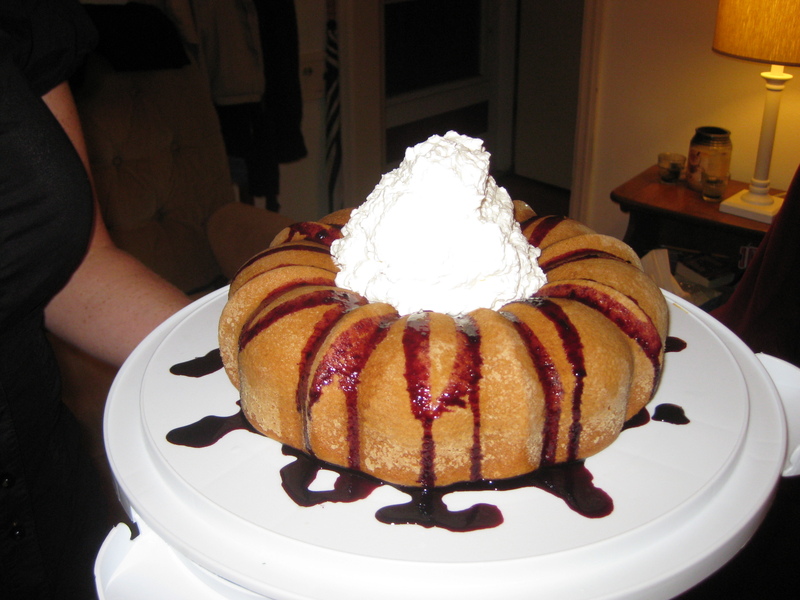 Shown above is my friend’s deliberately patriotic bundt cake, which she topped with fresh white whipped cream and stewed fresh berries (bright red strawberries and blueberries, of course). A scoop of ice cream would be delicious, too! However you celebrate, we wish you a very happy 4th of July and share our gratitude that we are a country that believes in freedom and Democracy. Father’s Day, falling as it does on a temperate mid-June Sunday, is the perfect time to get out the grill. No matter who is handling the chimney starter, these five recipes for a grill-centric meal will make for a delicious and special Father’s Day celebration. Dad will absolutely love these delicious yet healthy Grilled Turkey Burgers from Bon Appetit. Made with cheddar and smoky aioli (a kind of homemade garlicky mayonnaise), these burgers don’t skimp on flavor, seasoned with cumin, coriander and smoked paprika (I recommend the incredibly flavorful Spanish paprika from Penzeys). Is your dad more of a rib guy? Father’s Day is a special occasion, after all. Recently I picked up some country-style ribs to try as an alternative to our bone-in barbecue favorites slathered with sauce. In its recipe for Barbecued Country-Style Ribs, Cook’s Country has some excellent tips on how to keep the cooking even between the white and dark meat. Whatever meat you put over the coals, combine it with Charros, or smoky Tex-Mex beans. Steve Raichlen has a recipe for these “soulful, spicy pinto beans” seasoned with onion, bay and cloves, finished with bacon, jalapenos and fresh cilantro. Spring has been slow to come to our part of the country, so we’re still in asparagus mode. Luckily, it’s a one of my favorite things to grill and an early summer favorite. For Father’s Day I might dress them up with this Gourmet recipe for Grilled Pancetta-Wrapped Asparagus by Gina Marie Miraglia Eriquez. For a decadent and special finish to your Father’s Day celebration, try grilling peaches. The first time I ever attempted the recipe below to make caramel, I meant to drizzle it over ripe, juicy grilled peaches, a finishing touch to a dinner party with friends. I followed the New York Times recipe for Grilled-Peach Sundaes With Salted Bourbon-Caramel Sauce almost to the letter, though in my nervousness about the temperature, I pulled the caramel before it got really brown. I didn’t make that mistake the second time. When it got really, well, caramelized, this syrup was easily the best “candy topping” I’ve ever made. Heck, for a simpler dessert, ditch the grilled peaches and just make this caramel. Spoon it on store bought ice cream and it’ll be the best dessert dad’s had all year. One final note: If dad loves to grill, one of my favorite cookbooks for cooking on the fire is Weber’s excellent “Way to Grill” (Sunset Books, 2009). It’s full of big color photographs, step-by-step illustrated demonstrations and practical advice. At about $17 on Amazon, it’s a Father’s Day gift that begs to be paired with some grilling tools and/or a homemade meal from you. Happy Father’s Day to all the Dads and Dad stand-ins who make all the difference in our lives! As winter weather drags on, finding inspiration in the kitchen can get a little harder. On one hand, in my kitchen is often where I most want to be, next to the heat of the stove and a ready pot of tea. I’m the hunkering-down sort. I tend to bake too much, drink too much hot chocolate, and make endless variations on roast chicken and risotto. 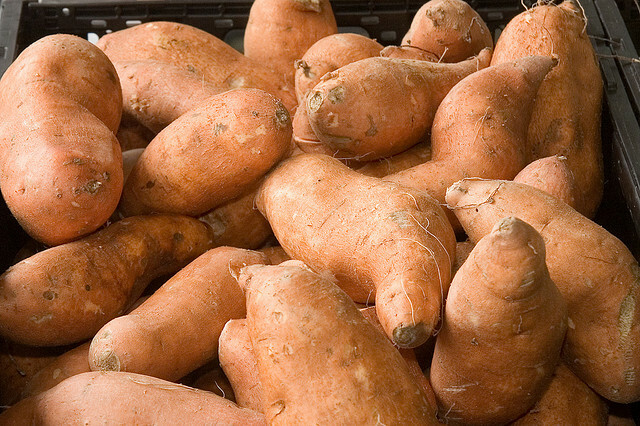 On the other hand, winter in colder climates is one of the most discouraging times for produce. By March, I am tired of winter squash and potatoes. I have no more ideas for kale. I want something new. That is where these food blogs come in. Visit any of these websites and let Deb Perelman, Heidi Swanson and Joy Wilson inspire and engage you with their vivid photographs and active imaginations. I became a fan of Smitten Kitchen in a backwards way. 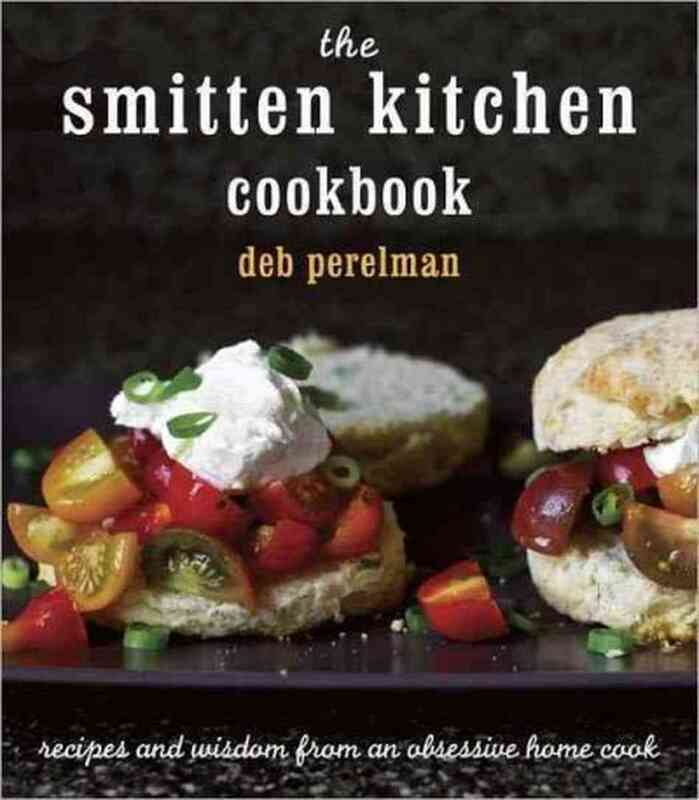 I had heard of Deb Perelman, the New York-based author of the popular tiny kitchen blog, in passing via recipes from friends. But it wasn’t until I read about (and subsequently cooked) her lasagna bolognese in Best Food Writing 2012 and then impulsively bought her gorgeous new cookbook that I became a true SK convert. A great blog is a combination of look and voice. Perelman takes all her own photos, and they’re beautiful, from a colorful mixed citrus salad with feta and mint to the French onion tart posted just this month. Her tone is self-deprecating and funny. Smitten Kitchen is organized for maximum ease — recipes are grouped by season, as well as by type (pancakes, dumplings), ingredient (eggs, apples) and cuisine (Indian, Italian). Now is the perfect time to try pancetta, white bean and chard pot pies, or “hibernation fare,” pasta with sausage, tomatoes and mushrooms. 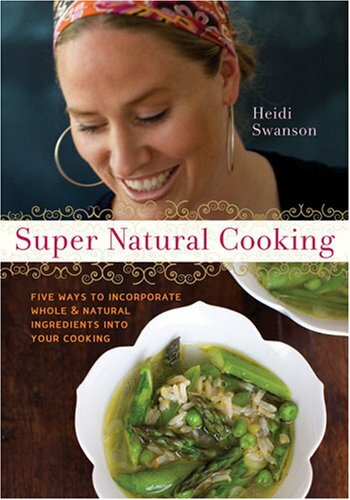 For healthier, I’m-sticking-to-my-New-Year’s-resolutions dishes, my absolute favorite blog is Heidi Swanson’s 101 Cookbooks. Swanson is the essence of inspirational, raving about her farmer’s market finds and offering simple substitutions for almost everything she makes. Because of Swanson’s blog (and her two cookbooks, Super Natural Cooking and Super Natural Every Day), orzo has become a pantry staple, for potluck salads and easy weeknight dinners. I am no longer afraid of tofu, and I am shamelessly addicted to kale. Following 101 Cookbooks is a great way to incorporate more grains into your diet in interesting, easy ways, from scones to warm noodle bowls. Start reading before spring, and you’ll be ready for every peapod and asparagus spear that crosses your path. The site’s author, Joy Wilson, is perhaps best known for her sweets, but the first thing I made from her website was savory: this creme fraiche/bacon/gruyere quiche with a puff pastry crust, which simultaneously satisfied my craving for creme fraiche (like a mild sour cream) and something different to make with eggs. Maybe strawberries aren’t quite in season yet, but that sounds like the perfect cake to snap me out of my winter funk. 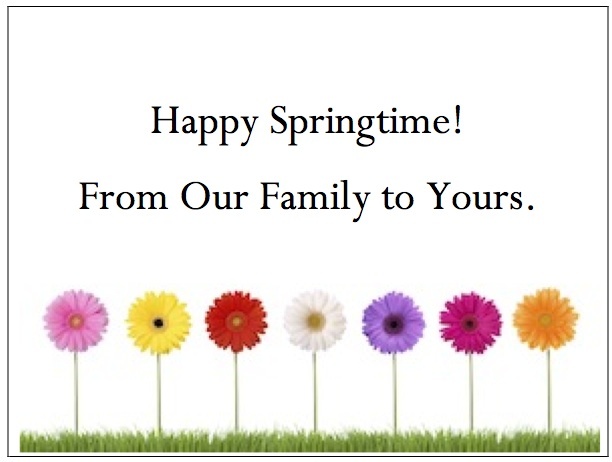 Wishing you spring weather soon! Most people think of Easter dinner and imagine something heavy and carnivorous at the center of the table — a spiral-cut ham, a rack of lamb, a thick pork tenderloin. But no one wants to leave vegetarian family and friends out of the loop, and even for the meat-eaters things can get pretty heavy. Change up your 2013 Easter menu with these simple, savvy veggie-centric options from some of the web’s best recipe sites. 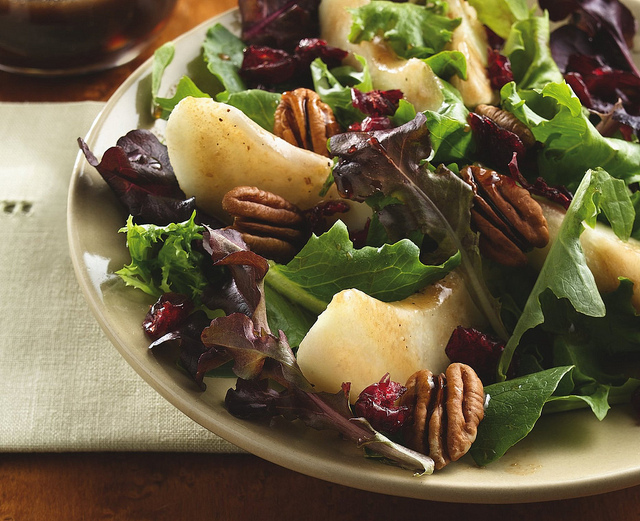 This simple starter salad from Betty Crocker could be made with any variety of nuts — pecans, walnuts or even pine nuts. Whisk together a quick dressing of Dijon mustard, red wine vinegar, maple sugar, salt and pepper. Make sure your pears are nice and ripe, and everything else takes care of itself. Asparagus is like an announcement in vegetable form: it’s finally spring! Perk up the Easter table with this pretty, bright spring pizza, topped with asparagus, garlic, chives and a mozzarella/fontina cheese blend. Reviewers on Eating Well note that you can substitute green onions for the chives and feta for one of the cheeses. If the asparagus stalks are a little thicker, be sure to peel the ends. This risotto primavera from Bon Appetit is perfect for Easter dinner for so many reasons. It’s rich and warm, perfect if the late-March weather is still snowy. And it’s endlessly adaptable based on what you find at the grocery store, from edamame and spring peas from the freezer to carrots, spring onions and leeks. Top it with an over-easy egg if you’re feeling decadent. Scalloped potatoes always feel so wonderfully holiday-worthy. These are especially good, containing creme fraiche (similar to sour cream, but milder), half and half, fresh thyme, garlic and chives. For dessert, conclude with one of the Easter Bunny’s favorites — carrots, cleverly disguised and sweetened up in this beautiful Venetian carrot cake by Food Network chef Nigella Lawson. Amped up with pine nuts, golden sultana raisins, vanilla, almond flour, nutmeg, lemon and (of course!) rum, this lovely cake will please everyone at the table, vegetarians and carnivores alike. 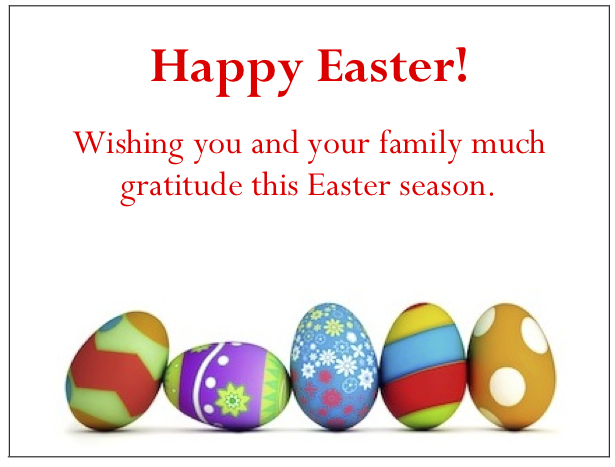 We wish you the best for a wonderful holiday with family and friends. We hope these recipes help you to make it a delicious event too. Bon Appetit! 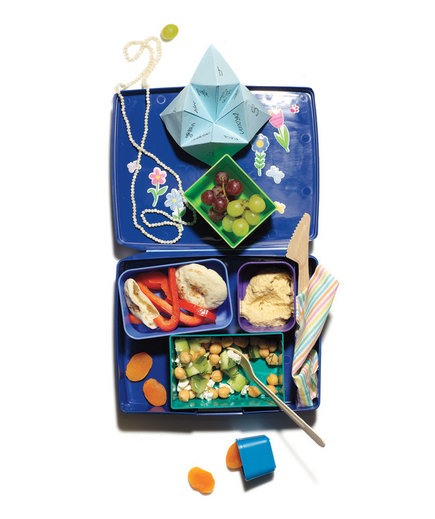 When I was a kid, my packed lunch was often the same every day: a container of yogurt, frozen; a turkey sandwich on wheat bread (with lettuce and tomato in a separate baggie); raw, kid-sized veggies (baby carrots, celery sticks) and something sweet, maybe a mini candy bar if it was Halloween or Easter time. But creativity in kids’ lunches doesn’t have to take a backseat when the school year (and track practice and band practice and school play rehearsals) resume in full force. Were betting even the adults in the family will enjoy these recipes. 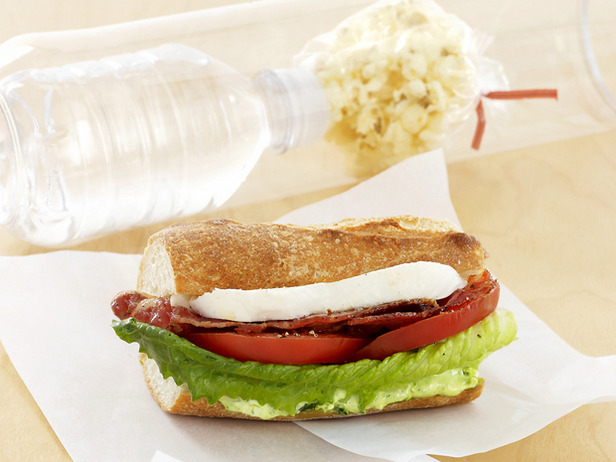 Here are five great ideas for fun school lunches to kick- off 2012-13! 1. Got some leftover turkey? 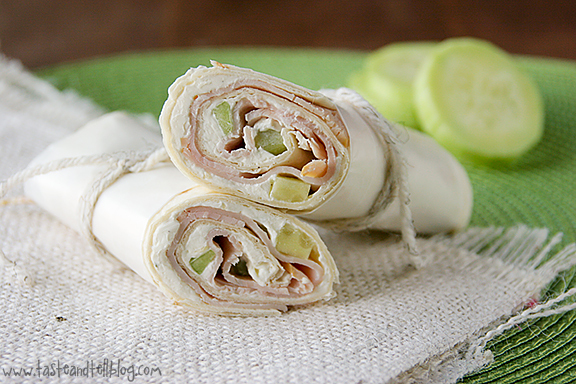 Try a cucumber ranch turkey wrap (inspired by Every Day with Rachel Ray) with cream cheese and fresh veggies. It’s quick and portable, and you can vary it a dozen ways using leftover ham or chicken, avocado, tomato, a mild blue cheese, grapes and/or fresh greens. If your kid is adventurous (or you want a more adult version), try adding sundried tomato pesto, marinated artichokes and roasted red peppers. 2. As summer comes to a close, make the most of all those beautiful tomatoes with a simple watermelon gazpacho (adapted from Food and Wine Magazine). Skip the salsa topping and it couldn’t be simpler — chop and blend together sweet seedless melon, fresh tomatoes (the more colorful the better! ), cucumber, a touch of sherry vinegar and a drizzle of olive oil. On the side, make your own “Lunchable”; pack it with salami, cheddar cheese and crackers for extra protein and carbs. 3. While we’re talking tomatoes, don’t miss the chance to make sweet roasted cherry tomato sauce for an easy lunchtime pasta that’s wonderful at room temperature. It’s like Kraft Mac and Cheese studied abroad in Italy. Check out recipes from Susie Middleton, author of The Fresh and Green Table and the blog Six Burner Sue, or adapt this one from Epicurious. Let your child choose a pasta shape, like cute ear-shaped orecchiette or twisty gemelli. 4. Chefs send their kids to school, too. At the Food Network, celebrity chef Tyler Florence makes a BLT with pesto and fresh mozzarella, stuffed into an old tennis ball tube with a popcorn ball and a bottle of water. In addition to tasting great, the baguette keeps its shape during morning classes. With a green salad or a cup of tomato soup, these sandwiches are great for a family dinner, too. Check out Florence’s recipe here. 5. Take a tip from your favorite Med cafe and make a lunch out of hummus, fresh bell peppers, a chickpea-cucumber salad and whole wheat pita pockets, cut into bunny shapes for fun. Make hummus yourself (recipe at Forkful of News) or find it pre-packed — many grocery delis make their own. Add mild sheep’s milk feta, like Hidden Springs, and a couple of kalamata olives for salty contrast. For more ideas, browse this gallery at Real Simple, peruse grab-and-go breakfasts at Cooking Light and check out Real Food for Healthy Kids (Harper Collins, 2008) for 200 kid-friendly recipes. P.S. Need a sweet new lunchbox for your half-pint? Check out this post on Mommyish or browse Pinterest for a variety of ideas. Turkey Or Ham Gift Certificates by gThankYou! are one of America’s favorite employee gifts and can be redeemed for any Brand whole Turkey or half or whole Ham, at virtually any Grocery Store in the U.S.
gThankYou, LLC provides company leaders with a variety of easy, meaningful and affordable ways to recognize and reward employees, holiday time or anytime. gThankYou! Certificates of Gratitude and free Enclosure Cards are personalizable including incorporating your company logo, and ship same day. 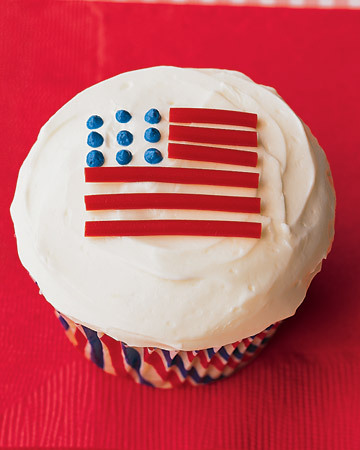 4th of July – Festive Red, White and Blue Menu Ideas! It’s almost Independence Day – the celebration of summer and all things American! Something we are all grateful for. So put out your blanket on a grassy hill to reserve a spot for your local fireworks celebration and bring a lawn chair down to Main Street so you have a nice view of the traditional, small-town Fourth of July Parade. You don’t want to miss the marching bands, the 4-H float, representatives from the local VFW, and kids on bicycles decorated with red, white, and blue streamers. Our forefathers may not have bought sparklers, fired up the barbecue grill, or headed to the beach in honor of our new country, but today there’s no better way to mark the patriotic day. Like any great holiday, there are fabulous foods associated with the day. Grill up your favorite chicken, ribs, hamburgers or brats, add some corn on the cob, and celebrate with family and friends. Don’t forget to look for recipes that use locally grown produce – available in your neighborhood grocery store – lots of berries, cherries, herbs, corn, tomatoes, peas, beans, and zucchini are in season right now. For a menu that includes a little red, white, and blue, try some of these great desserts and side dishes! 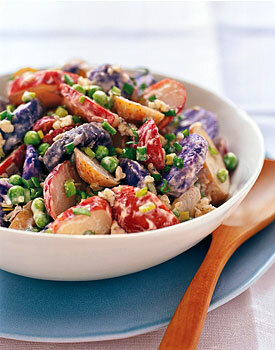 Thanks to Bon Appétit and Epicurious, Potato salad gets a colorful make-over using three colors of potatoes! 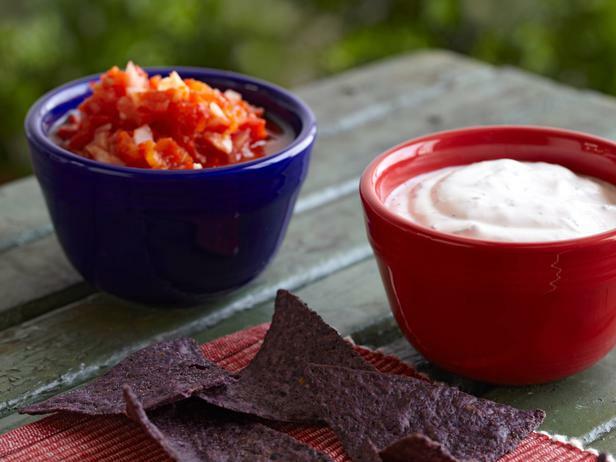 Here’s a patriotic spin on chips and dip from the Chefs at FoodNetwork! 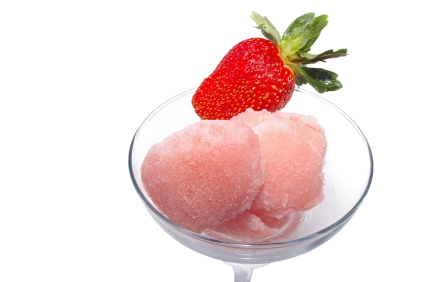 Alton Brown has a cool way to use watermelon to make delicious red watermelon sorbet! Yum. 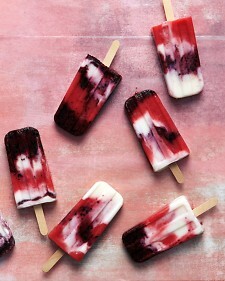 Leave it to Martha Stewart to come up with patriotic looking and delicious tasting frozen treats. Try these “Firecracker Ice Pops”, they are sure to be a hit with all ages! 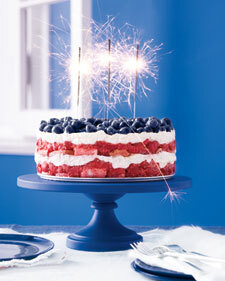 And here’s a great finale to your picnic dinner, sparklers are optional! Perfect for 4th of July! Happy 4th of July! Send your patriotic food photos and we will post them! For Mother’s Day, every Mom appreciates most, something from the heart. A child’s handmade card, special craft project or custom gift certificate for something such as “picking up my room without being asked for a month”. An easy special treat, that even the littlest ones in the house can help with, is breakfast in bed for Mother’s Day! Time to get up early, make some coffee and orange juice, and bring it to mom on a tray, complete with a flower and a homemade card! Wondering what to make for the main dish? Here are some easy recipes that not just Mom will enjoy! 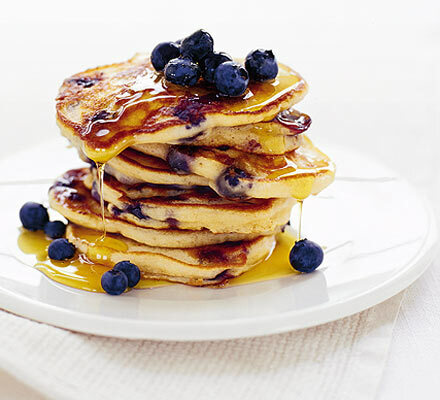 Looking for a basic, fool-proof, fluffy pancake that you can personalize with a variety of syrups, fruit, or jam? Here it is, the ultimate blank canvas from The Kitchn! P.S. The secret is in the egg whites! Or are you looking for something decadent and surprising? Try these Kitchy Kitchen red velvet pancakes, complete with a hint of chocolate and a deep crimson color. Top with mascarpone and pretend you’re eating dessert for breakfast! With a little bit of planning, you can whip up a batch of Paula Deen’s French toast casserole the night before, then pop it in the oven first thing in the morning. The whole house will smell like cinnamon and maple syrup! Is Mom more of an eggs and bacon person? 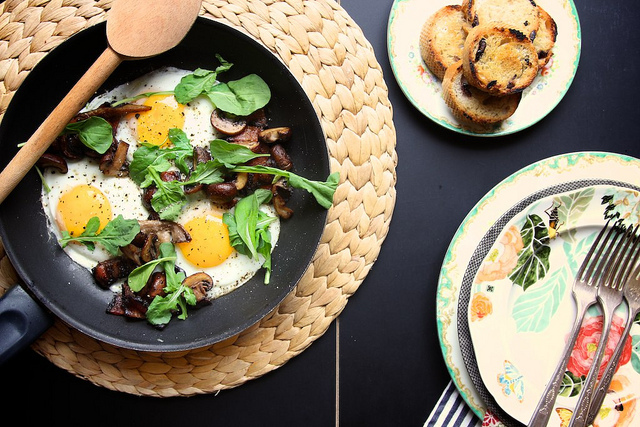 Here’s an easy and elegant breakfast skillet by Joy the Baker that will satisfy a salty-crunchy craving rather than a sweet tooth. Looking for something fast and easy that even the littlest cook can help with? Make these gorgeous yogurt parfaits for Mom, using whatever fruit is in season. 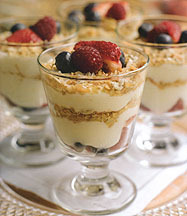 Layer the yogurt, fruit, and granola in beautiful glasses for a really pretty presentation! However you choose to celebrate Mother’s Day, have fun and take the time to share your gratitude with all the Mothers in your life. Thank Your Staff: It’s Administrative Professionals Week! Always the last week in April, with Administrative Professionals Day Wednesday, April 25, it’s a great time to show your gratitude and appreciation to these valued employees. The theme for this year’s Administrative Professionals Day is “Admins, the pulse of the office,” according to the International Association of Administrative Professionals (IAAP), as the holiday marks its 60th anniversary. It’s one of the largest workplace observances outside of employee birthdays and major holidays, IAAP reports. The event is celebrated worldwide, bringing together millions of people for community events, educational seminars and individual corporate activities recognizing support staff. 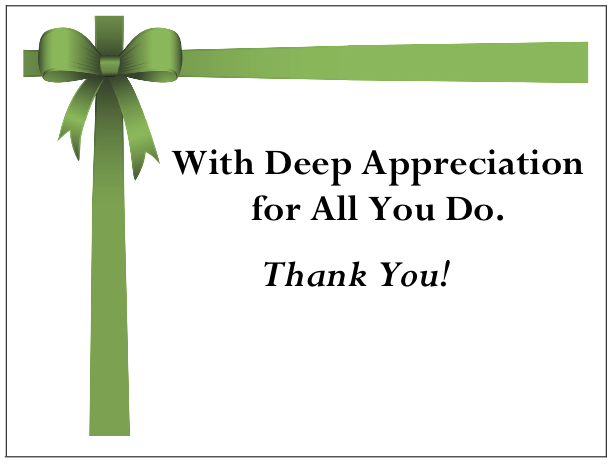 These professionals certainly deserve your thanks. IAAP calls them “the steady center of efficiency … helping ensure jobs get done right, on time and under budget.” And, usually with a smile and a bright disposition too. International speaker and trainer Marja Lee Freeman, “The Employment Lady”, and founder of M.L. Freeman Consulting, asks “So, what are YOU DOING for your staff this Administrative Professionals Week?” in her article, Administrative Professionals Week Celebration . “It’s time people realize the office administrator is the heart and pulse of a successful organization—for profit, nonprofit or any profit!” she enthuses. The U.S. Bureau of Labor Statistics reports more than 4.1 million secretaries and administrative assistants work in the United States and 8.9 million people work in various administrative support roles. Although it’s important to recognize employees throughout the year, Administrative Professionals Week provides a great opportunity to thank support staff for their contributions, advises OfficeTeam’s Robert Hosking, Executive Director of the world’s largest temporary staffing service for Administrative Professionals. Melba J. Duncan is president of search and consulting firm The Duncan Group and author of “The New Executive Assistant: Advice for Succeeding in Your Career”. 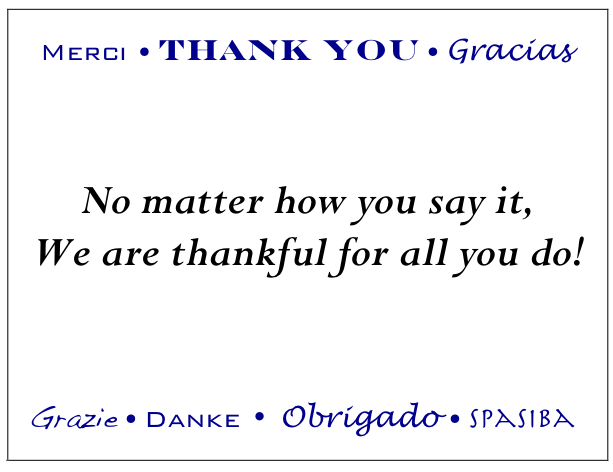 At gThankYou.com, we’ll thank our support staff with gift certificates for ice cream. How will you thank yours? Let us know. Lamb can be broiled, grilled, baked, or braised. It can be ground into patties, stuffed with herbs or marinated. It can be an ingredient in stews, tagines, and meatballs, or the star of the dinner table. 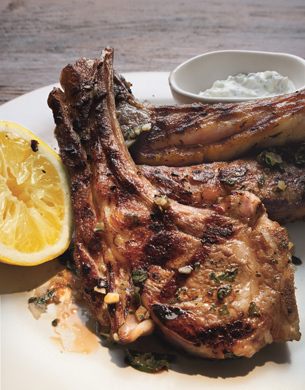 Lamb is a prime source of high-quality protein, vitamins, and minerals. A 3-ounce serving of lamb provides 43 percent of the recommended daily allowance of protein. Lamb is also high in B vitamins, zinc, and iron. Compared to other meats, lamb contains very little marbling (fat in the meat). And, since the fat is on the edges of the meat, it is easily trimmed off, which means fewer calories — only 175 in an average 3-ounce serving. Not sure where to start your lamb adventure? Here are some important cooking tips. For safety, the USDA recommends cooking lamb patties and ground lamb mixtures such as meat loaf to a safe minimum internal temperature of 160 °F as measured by a food thermometer. Cook all raw lamb steaks, chops, and roasts to a minimum internal temperature of 145 °F as measured with a food thermometer before removing meat from the heat source. When shopping for lamb, look for meat that is fine textured and firm that has red coloring and white marbling (white flecks of fat within the meat muscle). The fat trim should be firm, white, and not too thick. The USDA quality grades are reliable guides. The meat from a young sheep (less than 12 months of age) is called lamb. It is naturally tender and mild in flavor. The meat from an older sheep (over one year of age) is called mutton. It has a more intense flavor than lamb, but is preferred to lamb in some cultures. There are five basic major cuts of lamb: shoulder, rack, shank/breast, loin, and leg. The rack contains 9 full ribs and can be split (along the back bone) into two lamb rib roasts. A “lamb crown roast” is made by sewing two rib roasts together to form a circle or crown. “Loin” chops come from the loin and “rib” chops come from the rack (or rib); these are the most tender and most expensive chops. “Blade” and “arm” chops (from the shoulder) and “sirloin” chops (from the leg) are less expensive but may be just as tender. Add to your holiday recipe repertoire with lamb! Try one of these wonderful recipes for your next big holiday feast or dinner party. You’ll be sure to wow your guests! Stuffed Leg of Lamb with Feta and Olives featured by Russ Parsons, The California Cook, Los Angeles Times. Paula Deen‘s, Roast Lamb with Bourbon and Mint, a traditional Southern Version. Let us know if you serve Lamb as the center piece of your holiday dinner. Do you have a favorite lamb recipe to share? gThankYou! 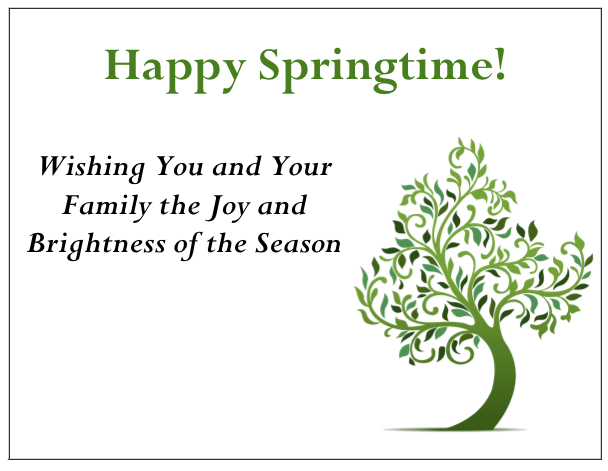 announces new Spring and Spring Holiday Enclosure Cards. As with all gThankYou! Enclosure Cards, these new designs are free with any purchase, and can be customized with your personal message and Company Logo. These thoughtful cards make the perfect addition to your gThankYou! 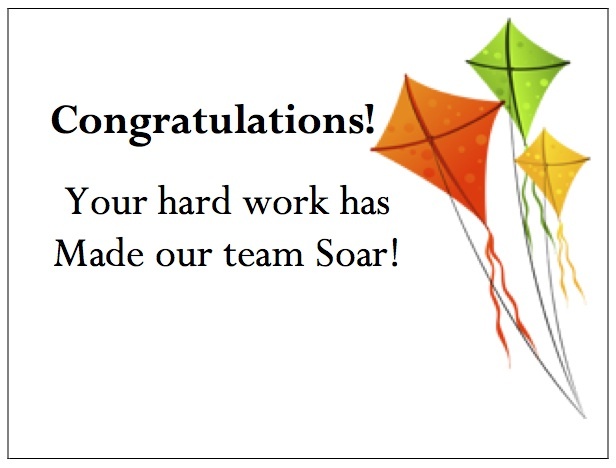 Certificate of Gratitude Gift this Spring. gThankYou! Gift Certificates offer company leaders a convenient way to celebrate employees, holiday time or anytime. gThankYou! Certificates of Gratitude come in a variety of meaningful yet affordable varieties including: Turkey or Ham Gift Certificates, Ham Gift Certificates, Turkey Gift Certificates, Grocery Gift Certificates, as well as, Other Popular Varieties (such as Pie, Ice Cream, Pizza and Fruit & Vegetables). Recipients choose any Brand and can shop at virtually any Grocery store nationwide. And, nearly all orders ship same day. gThankYou! 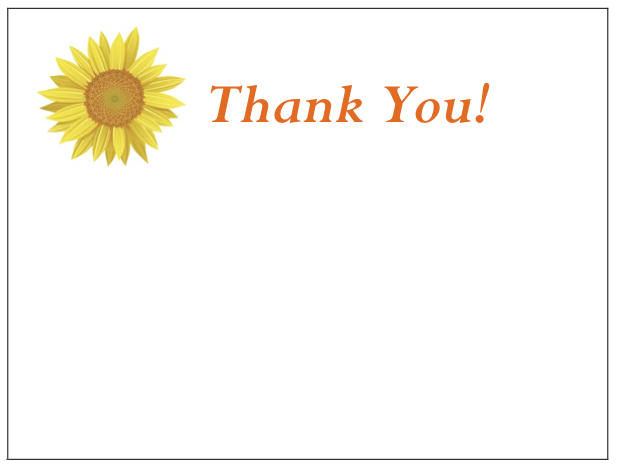 Enclosure Cards are available for all seasons and variety of occasions such as Autumn and Thanksgiving, Winter and Winter Holidays, and Thank You! Designs and More. gThankYou! Gift Certificates are the ideal workplace gift and appreciated by all. Share your gratitude today!